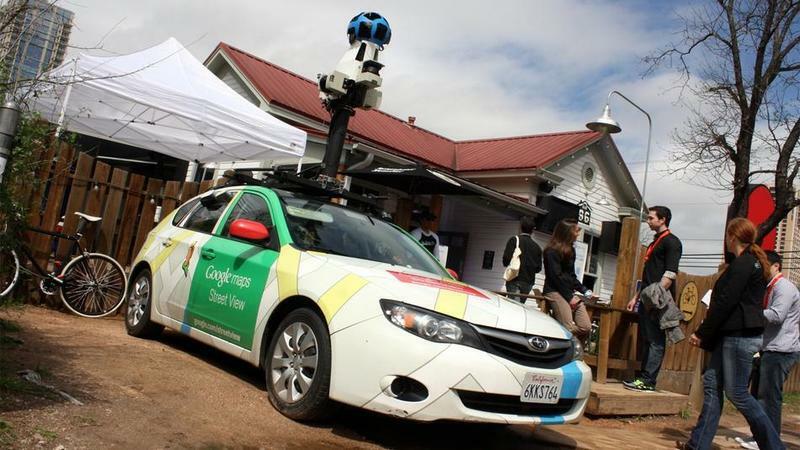 The news about Google's Street View privacy violation may not surprise the most jaded among us. Who doesn't remember the public complaints from people who didn't want their front yards or even living room windows photographed? But those worries seem quaint compared to the current revelation that these vehicles also secretly captured and compiled an unsettling amount of personal data — including e-mail, medical and financial records, and passwords, says The New York Times. Allegedly, the massive "data-scoop" went on for years across millions of unencrypted wireless networks. Google first denied it, then said it was an accident, the lone work of a rogue engineer. The company, however, blocked attempts by regulators to view the data. It claimed the information was never used and was, in fact, destroyed. But that isn't entirely true. Turns out some data actually survives, mostly hanging in there until a few private lawsuits against Google are put to bed. And, says the Federal Communications Commission (FCC), the engineer that Google blamed wasn't just a troublemaker acting alone. He worked with others, and he even attempted to inform his managers about his actions. This lead the FCC to chalk it up to a failure of supervision, and last spring, it penalized the tech company in the amount of $25,000 for obstructing the agency's probe. Google ultimately acknowledged that it violated people's privacy — though it didn't admit to breaking any laws — and for that egregious action, it was fined a whopping $7 million dollars. If you didn't catch the sarcasm there, we'll spell it out: That's about the same amount of money Google makes in one hour. The company has also agreed to finally purge the data, educate its workforce about consumer privacy, and launch an advertising campaign to inform the public about data protection on wireless networks. George Jepsen, the Connecticut attorney general, told the NYT that what really matters is that "Google admitted they weren't just taking pictures." Maybe so, but this is still far from over. The controversy has sparked a worldwide outrage, with dozens of countries investigating how the mapping project collects data from private computer users. And the industry watchers and pundits are on high alert, watching what ramifications, if any, this will have on future Google offerings — like Project Glass. There are already privacy concerns surrounding wearable technology, but this dust-up just gave those worries more fuel for the fire. Are you surprised at the breadth of info that Street View collected? Are you concerned about what this could mean for Project Glass? Or is this just an overreaction to the typical facets of modern life? Tell us whether or not this shakes your faith in Google in the comments below.